Tuesday's game between the Hudson Valley Renegades and Staten Island Yankees was suspended due to rain at Dutchess Stadium. The game will be continued as part of a double header on July 21. 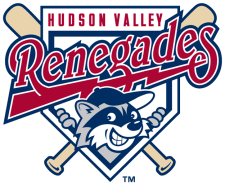 The Renegades (2-2) begin a three game set with the Brooklyn Cyclones (4-1) on Wednesday at Dutchess Stadium.